Just a 5-minute drive from Kalgoorlie, guests enjoy free Wi-Fi and an outdoor swimming pool at Albion Hotel. Enjoy a meal at the onsite bar and restaurant. 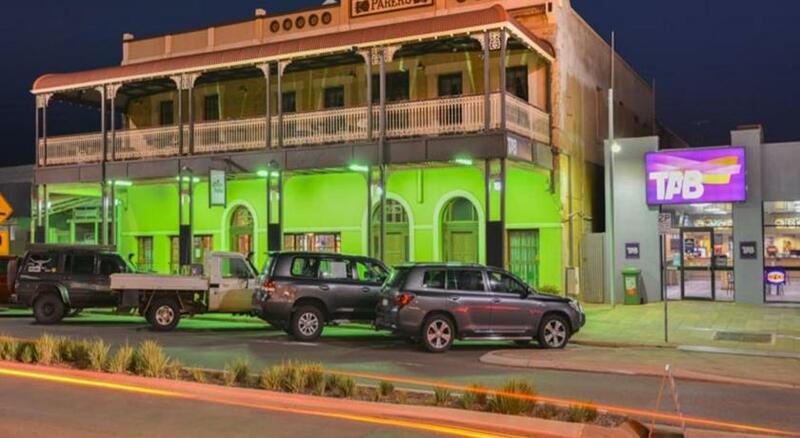 Albion Hotel a 6-minute drive from the Western Australian Museum Kalgoorlie and a 10-minute drive from Kalgoorlie Golf Course. The Kalgoorlie-Boulder Airport is also a 10-minute drive away. All air-conditioned rooms feature a kitchen or a kitchenette. They have a satellite flat-screen TV and a bathroom with free toiletries. Some rooms have a dining area, a desk or ironing facilities. A guest laundry, billiards table and packed lunches are also available.